We planted the first phase of the vineyard, ably assisted by our four children, in April 2006, with a further plantation in April 2007. 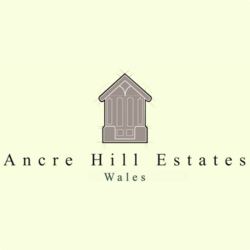 The vineyard comprises two sites surrounding our home at The Ancre Hill on the outskirts of Monmouth town. The Folly View site of 6 acres is principally planted with Chardonnay and Albariño. The newer Town site of 3 acres is totally dedicated to Pinot Noir. Both sites are south facing on well draining, limestone soils and the long hours of sunshine and comparatively low rainfall in our little valley all combine to make it an ideal location for vines. Set in the middle of the Wye Valley, an area of outstanding natural beauty, the vineyard is blessed with its own unique meso-climate, surrounded by tree topped hills on all sides, with the famous Brecon Beacons to the north. The adoption of Biodynamic practices from 2011 should help us maintain our beautiful piece of Wales and protect the integrity of our vines. Home of the Bollicine del Mondo world winner.